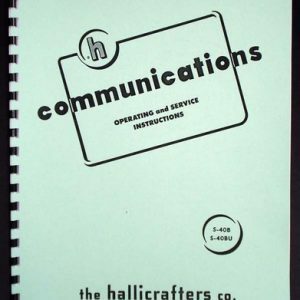 For sale is reprint of Hallicrafters HT-37 Transmitter/Exciter Manual. 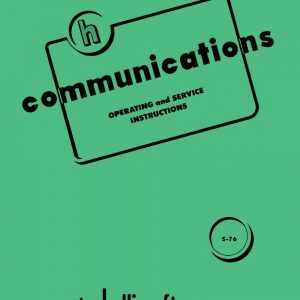 Manual is 29 pages long and includes 28″ foldout of Circuit Diagram. Manual consists of 8 sections, General Description, Specifications, Installation, Operating Controls, Tuning Procedure, Theory of operation, Service Data and Alignment Procedure. 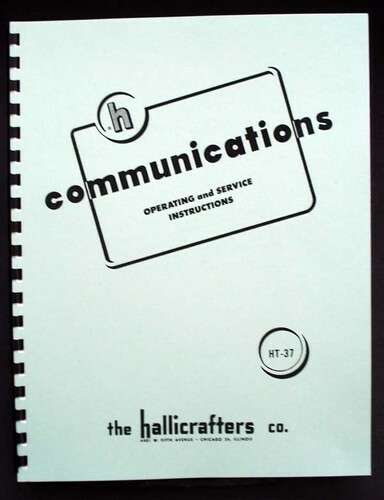 Comes with part list and Large foldout of Circuit Diagram. 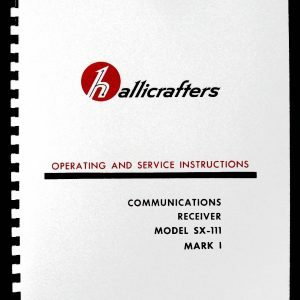 Section 8- Alignment Procedure is 14 pages long and includes voltage/resistance chart useful for troubleshooting, complete alignment sections for RF and 1st and 2nd Mixer and VFO. 2 page part list and block diagram. 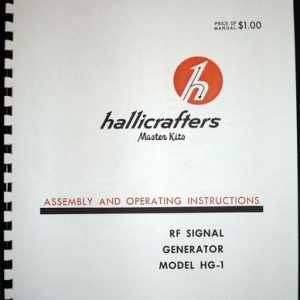 Must for every owner of this great transmitter.